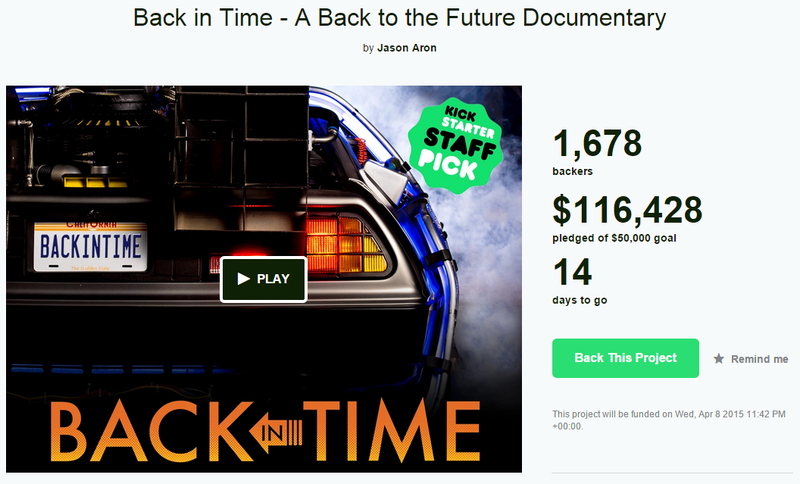 Jason Aron is the visionary behind ‘Back in Time’, the crowdfunded Back to the Future documentary. After a successful Kickstarter to raise the capital to make the movie, interviewing Michael J. 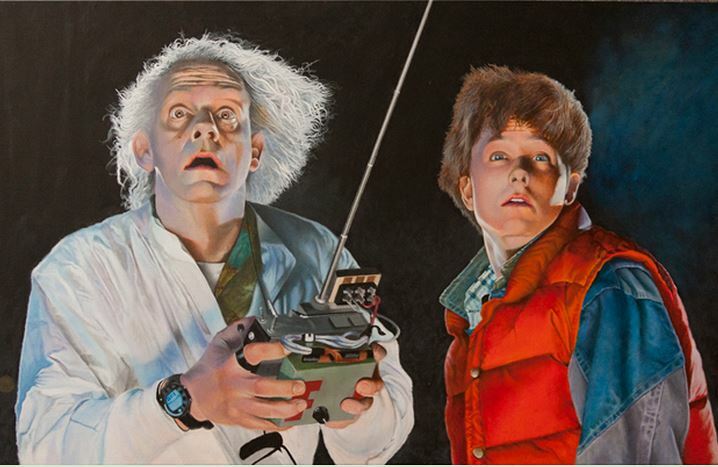 Fox, Christopher Lloyd, Robert Zemeckis and more, Jason and his team returned to Kickstarter recently to raise money to put the film through post production. With two weeks still to go on their crowfunder, the project has more than doubled it’s target, with both projects now being backed by nearly 2500 people worldwide. We sat down with Jason recently to ask him a few questions about his experiences with the project, and crowdfunding in general. CE: What (if any) progress had you made on the project before you launched your crowdfunder? JA: Essentially the answer to that is nothing. Part of the idea behind the project was that, in my head, if this was going to be successful, I wanted to work backwards. I don’t want to work on a project for however long it’s going to take and then wonder if people are going to see it. My idea behind crowdfunding this was to get that understanding that people want to see this, and donating money is definitely backing up the fact that they want to see it. That’s why the ideas was to crowdfund it. Obviously we needed money as well, but rather than trying to go the traditional route and guess later, we said let’s crowdfund this. We were looking at back to the future from a culturally relevant standpoint, so what’s more culturally relevant than people putting in money to something that they want to see. It was sort of a validation of the fact that people want to see this project. CE: How much of an audience did you have prior to launch? JA: I think when we did our initial research I looked at…well, I said ok we’re going to launch this Kickstarter (and the one thing we knew about Kickstarter is that it’s not a ‘if you build it they will come’ platform, you really have to promote it). In researching it we looked at who’s going to be in this documentary, what’s the story going to be, but also what is the back to the future following. We found various different Facebook groups that dealt with back to the future in one way or another, and we knew that that would be our target audience for the Kickstarter. Certainly for our first Kickstarter that is where our backers originated. CE: Did you do a lot of preparation before launch? JA: So, everything that happened up until the event of the first Kickstarter I essentially did myself. I did the research alone and I found who it was I wanted to be in the documentary. For the most part, much of the early research in terms of who we wanted was us actually going and interviewing those people. It’s sort of what happened after the Kickstarter ended that made the project expand and grow to places that we really never thought possible. In the first Kickstarter we really only featured one family, and that’s Bill and Patrick Shea up in Massachusetts. I found them, contacted them, figured out how I wanted to cut the trailer, and built everything off of that: I edited it myself as well and did the Kickstarter video. Very early on I brought in my executive producer, who’s Louis Krubich, but there was an understanding up front that his work was going to come later, not up front. So it was really mostly me, and we had another shooter, Greg Lassik who helped us out to just get everything going. CE: How/why did you choose your platform? JA: Here in the US Kickstarter and Indiegogo seem like the two most obvious choices. Indiegogo offered a very great benefit, which is that if you don’t raise all your funding, you get to keep what you raise. That was appealing but having a little experience in it, my gut told me that if we’re looking for random fans (Kickstarter would be best). You see a lot of these sci-fi projects on Kickstarter, and it kind of seems like, those are Kickstarter people, people that live on Kickstarter, or any of the crowdfunding websites, and they’re going to fund those. 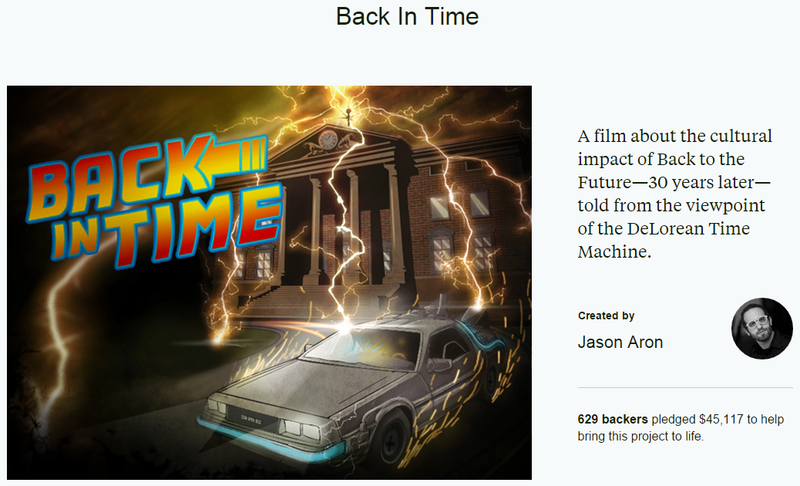 I knew that a lot of your funding is going to come from people that aren’t necessarily traditional Kickstarter people, but they’re back to the future people. So I wanted to make sure that people were comfortable donating money on a website, just having that mentality. So I said I think we should go with the most popular one. Indieogo today, something about the visual or the layout of it (isn’t great). I buy a tonne of stuff online, but I just feel there’s something about it that kind of makes me nervous about putting my money into that platform – I’m not sure how legit it is. Again, that’s not my thought, but it seems to me that might be other peoples. CE: Did you incur any major expenses in setting up the campaign? JA: In terms of hard costs to get the first crowdfunding campaign online, it was probably less than $2,000, which I paid myself with the expectation that I’d probably be able to take it back once we raise that initial funding, which I did. We raised $46,000 – obviously Kickstarter took a piece of that, as well as credit card processing etc. But after that, the funding that we raised pretty much paid for production. Right towards the end of production, in the last month or two, we essentially ran out of money and kind of get back into the “I guess I’m paying for this again” situation, but knew already we were going to do another Kickstarter. So again it was the same thing where I was going to lay it out and then get it back, which you can see from our second Kickstarter won’t be a problem! It was a lot more calculated this time. 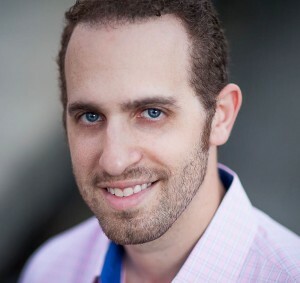 We did take on an additional investor the second time, who is our producer now, Lee Leshen. He invested in the project to come on board and produce it. That was sort of an unplanned thing, but one of things that we knew was that we wouldn’t have any money for post-production which is why we’re back on Kickstarter. CE: Have you been aware of any interest from other investors after your campaign was successfully funded? JA: You get a lot of emails when you go on Kickstarter. Some of them seem random, some of them you’re not sure how legitimate they are. There are a lot of companies out there that are probably fishing for equity. Once we raised the money that we raised, we didn’t feel the need to give away any more equity, because we knew we had enough money to produce this thing. So we said ok, we’ll go the traditional route. We’ve had a lot of interest in this project, and certainly within the last year there was never the thought that we’re not going to be able to finish this or not going to be able to raise more funding, just because of the amount of interest in the project. We’ve been lucky in the fact that we picked a great topic. So that wasn’t a concern but it was certainly a thought that we might have to take out a private investor to finish this and might have to part with some more equity, but fortunately we haven’t had to do that yet. CE: Did you ever come across any Studio interest in the project? Or did you encounter any problems with studios and license holder being obstructive? JA: Well, with Universal studios, it’s (Back to the Future) their project so one of the biggest concerns was of course licensing footage. 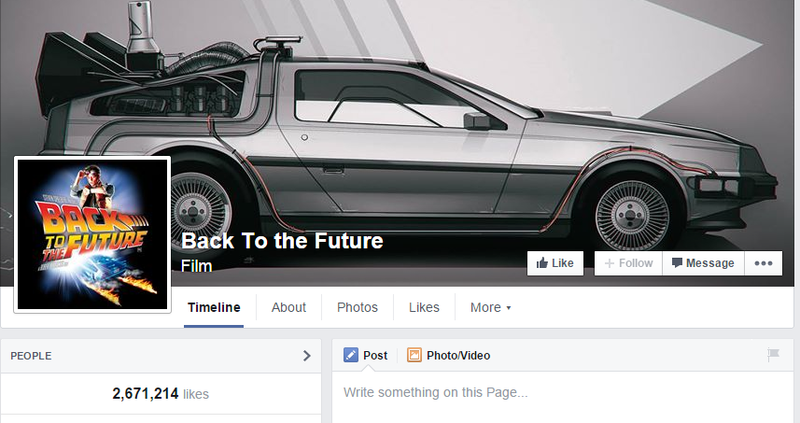 We’re going to have Back to the Future footage in our film – you see it in our trailer – and we had to navigate that. Bob Gale kind of worked as an intermediary between us and Universal Studios and they’ve been great. We don’t have signed deal in place yet but we have a principle deal with them in terms of licensing footage. We’re going to compose our own score for this so that’s not going to be an issue in terms of music. There might be a piece or two that we want to use. There’s one story in our film that involved an episode of American dad (the Back to the Future episode) and one of the characters was actually a sound editor on American Dad. They drew him into the episode, so we interviewed him and he told us that whole story. So that’s a piece of footage that we’re probably going to want to use and we’re going to have to license that from the powers that be there. We’re talking about a five second piece of footage – I don’t know if it’s going to be a major hurdle one way of the other! But other than that it’s really just been a direct line of contact between us and Universal just to make sure everything is ok. There have been talks in terms of what they might want to do with the project, but I’m not sure where that’s going to go. If anything it’s just been more friendly than anything else. CE: What worked best for you when promoting your campaign? JA: I think certain promotion that we got (helped, for example), there’s a Back to Future Facebook page with 2.7 million likes. They promoted us a few times during the first Kickstarter and we got definite spikes there. The reality is that we’ve raised almost double the amount of money already a week into our campaign than we did last time. So the spike there was lot more noticeable. They promoted us this time but by the time they promoted us we had like $42,000 already. So, I’m sure we got funding from there. From the Kickstarter dashboard we can see what onsite and what came offsite. Right now it’s probably about 70% offsite, but it’s over $20,000 onsite now, and because of the popularity of the project this time around, we were the number 1 movie for a week on Kickstarter, not documentary, movie. We were featured on their homepage, under what’s popular. We were the 6th most popular project on Kickstarter for the majority of last week, in any category. You look at that and think “wow this must help”, but at the same time we’re still in the situation where between $50,000 and $60,000 has come from offsite, so a lot of it is still definitely coming from there. We’ve had a lot of press, and I think that’s helped. But to answer your question more directly, the best thing I think we did was pick a great topic. If you want to get crowdfunded for something it better be something that people are interested in. It could be the most beautifully well shot, well lit, well directed film ever, but if it’s just a topic that’s not going to touch people it’s just not going to work. CE: What would you say is the biggest thing most people don’t understand about crowdfunding? Why might they fail? JA: I think the first one I touched on earlier also is that you have to promote your project, you have to have a plan on how you’re going to promote your project. With Kickstarter or any other crowdfunding website, you can’t just put a project on there and hope it’s going to work, because it won’t. If nobody knows about it, nobody is going to fund it, or you’ll get just one or two funders from people just randomly seeing it. The other thing is, in the same light, you’re not going to fund your project by posting it on just your own Facebook page, unless you’re a celebrity. So you need to have a plan of action in terms of how you’re going to do it. The other thing I see with a lot of campaigns – I can look at almost any Kickstarter campaign and look the reward structure and see that it might not work just because of the reward structure itself. I think product based things are the best stuff on Kickstarter – it’s just an easy method of sales. But you look at some of the pricing structures and think “this is too expensive”, or they want too much money, or it doesn’t make sense as to how this is going to end up adding up. So a lot of the time you see that becomes the failure. So I think promotion and reward structure are the two big ones where you really have to go into it with a plan and say “ok, how is this going to make sense?” A lot of times you can be surprised. Look at that card game with the cats – there was no rhyme or reason to that. I think crowdfunding is very formulaic in a sense, but then you look at that, exploding kittens, and there’s no rhyme or reason why that thing raised $8 million, none! It was a simple reward structure: two cards games for decent crowdfunding price, it made sense, and it just blew up. CE: What do you think the media gets right/wrong about crowdfunding? JA: I think you see different things from different outlets, but the reality is that crowdfunding is not an alternate sourcing method anymore, it’s a mainstream sourcing method. Especially if you’re coming to the market with a new product, it’s an absolute mainstream method today – there’s no reason why not to fund your project that way. I really don’t see any negative behind it, so I’m not sure how much of the media is hitting that, but to me it’s just a positive, normal sourcing method…that’s basically it! CE: Did you use any third party tools to automate, track or otherwise help? JA: We used Kicktraq just to kind of get a better idea of where we were. The one thing I will say is that they’re predictive – you know, technology is not good, in fact it’s terrible. Although to be fair, I think if we were a product based item, the predictive makes a lot more sense. What happens more with documentary type products is that, you’re looking at a fall off after the first number of days. Which is to be expected because it hits the market, it gets press, there’s a buzz to it, as opposed to a product which has more of a higher arcing trend, because as it gets more popular, more people buy it and it’s a real tangible thing. I mean, as of a couple of days ago they said we were going to raise $400,000 – we’re not. We’re not going to get anywhere near there. We’d be lucky to fall in at the $100,000 mark when we’re done. So it’s not very predictive, but they do have some good tools in terms of seeing your daily backers, tracking that graph-wise and that sort of thing. With that said, we did our own fulfilment and our own updates through Kickstarter, and it was a complete disaster. I lost, probably years off my life just trying to do fulfilment. We’re not even done with the first Kickstarter campaign because a lot of the fulfilment was DVDs and Blu-Rays and the project’s not done yet. We have around 600 backers there and they’re going to have to be fulfilled. T-shirts, posters and that sort of thing we did upfront, but I’m not sure the number of DVDs and Blu-Rays still to come, that’s the only thing that has to be fulfilled. As far as this Kickstarter goes, we have I believe 1450 backers at the time of talking, and it’ll probably end up at close to 2000. I see now that we’ve hit our groove and that there’ll be a lot of backers at that $12 level – people who are buying the film so they can watch it digitally. Even if we don’t get another backer, if you combine the two Kickstarter campaigns we’re talking over 2100 backers today. With that said, I will be looking for a fulfilment tool for the second Kickstarter. There is no way on Earth that I’m going to even attempt to handle it myself. I think the main reason too is international shipping. We were shipping our products as one-offs internationally as that’s the only way we had to do it. The time it took us to fill out all the customs forms on everything, I’d rather be clipping my toenails! But the cost is exorbitant – it costs over $20 to ship everything internationally piece by piece. Obviously we’d be looking for some kind of group shipment – send a box to Europe and have everything re-distributed there. I think one thing we’ve found about back to the future is that its global reach is amazing – you never think about it when you’re an American watching an American movie. But that’s what I’ve learnt about being around Back to the Future for so long – I think half our backers are international, but we can’t just burn money shipping things overseas. CE: Do you see crowdfunding mainly working in the rewards based environment, or can you see the loan or equity model surpassing it? JA: I think if you look at the web in general, there’s never going to be a bigger site than eBay when you want to buy something at auction – they’re too big. Will there be a fall of Kickstarter? I’m not going to bet my life on it but just the way the market looks right now Kickstarter is the biggest crowdfunding site and I don’t think there’s a site that can take over it. If you’re talking about a different model, that is always going to be an alternate model to Kickstarter. Kickstarter created the rewards-based model and I think that’s here to stay. There are people out there that are looking for equity based things to invest in, so there’s a place for those sites in the market out there, but I think there’s much more of a danger to it. If I’m backing something rewards based, you’re much more set in knowing you’re going to get it – although I was burned in one of the biggest Kickstarter product scandals ever, which was the Geode from iCache. It essentially was Apple Pay before Apple Pay. It came to market but then it didn’t work, and I actually was one of the people that never even got one, so you can get burned there. I got burned for $180, which is very different from investing a large sum of money into equity in a company. There’s something weird about it because essentially the person who’s running the company is going to crowdfunding for equity because they still want to run the company, and it’s just a nice model to bring in strangers from anywhere to back it. I don’t know if it’s ever going to take off. I think it’s an interesting idea, I just think there’s a lot more risk there. CE: What do you see for the future of crowdfunding? JA: I hope that crowdfunding goes from strength to strength and I’ll tell you why. I think that as crowdfunding becomes more popular it’s just going to bring down the cost of goods in general – you’re cutting out the middle man, you’re cutting out the stores. I mean there are great business models like Amazon that you can just ship your products to and they’ll sell them for you on Amazon. The idea behind crowdfunding is that it’s such a great thing for business. It just allows the project holder – no matter what it is, if it’s a film, if it’s a product, an art project or a design for a new pair of shoes – to maintain control, retain equity, and as crowdfunding becomes more popular, I think more people are going to look to crowdfunding sites as a source for goods and grow the community. To me – and it’s great to see other crowdfunding sites pop up – I think the popularity of one is a great thing. Like I said with eBay, I only go to eBay, I don’t look at other auction sites – that’s just me. I think the strength of one major player is a positive in the market to some extent. Article Preview image by Scarecrow426 via DeviantArt.